The first two matches of the Round of 16 were held of the ongoing FIFA World Cup 2018. The match wise highlights are appended below. 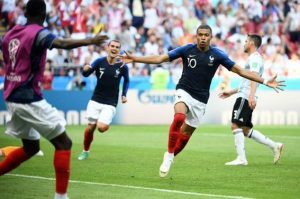 Match Statistics indicate Argentina dominating in every aspect but still failed to outclass the French as they were knocked out of the World Cup 2018. In the 1st half, France got lucky as Marcos Rojo was awarded a yellow card and France were awarded a penalty. Antoine Griezmann took the penalty and scored to put France in the lead. GOAL ⚽ @AntoGriezmann makes no mistake from the penalty spot! @equipedefrance lead early on. With 5 minutes left in the 1st half, Argentina’s Di Maria shot the ball into the nets from a distance of 35 yards to equalize the scoreboard. The 1st ended with the scores being 1 – 1. 3 minutes into the 2nd half, Gabriel Mercado successfully deflected Messi’s shot and scored the goal to put Argentina in the lead. But, 9 minutes later Benjamin Pavard sublime strike drifted the ball into the nets to equalize the scoreboard. Then came the highlight of this match. As, the 19-year old youngster, Kylian Mbappe scored twice in 4 minutes to put France in the lead by 2 goals. With the match coming to an end, Sergio Aguero scored a consoling goal but it was not good enough as France won the match to knock Argentina out of the World Cup 2018. Antoine Griezmann is the first #FRA player to score a goal in both the group stage and knockout stage of a single #WorldCup since Zinedine Zidane in 2006. A suggestion for nativists the world over. Take a look at French wondrous footballer Kylian Mbappé. It was a high profile game with Uruguay clearly the favorites to win this match against Ronaldo’s Portuguese team. In the 1st half, Edison Cavani perfectly found Luiz Suarez’s cross to give Uruguay with an early lead. On the other Portugal couldn’t equalize in the 1st half, mainly because they lost their momentum every time they came close to scoring a goal. However, in the 2nd half, Portugal’s possession dominance was rewarded as Pepe scored a goal to equalize the scoreboard. 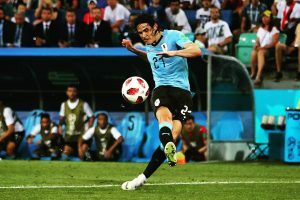 But, 7 minutes later the lead was restored by none other than Edison Cavani who put Uruguay back in the driving seat. The match came in the last 10 minutes but despite taking a number of shots Portugal’s accuracy was poor. Even Cristiano Ronaldo couldn’t score for Portugal as they were knocked out of the World Cup 2018. 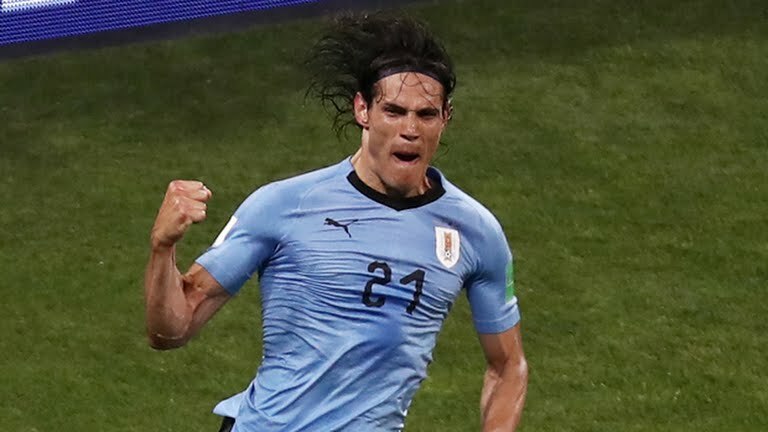 Edison Cavani scores a brace for Uruguay🇺🇾 as they beat Portugal🇵🇹 2⃣-1⃣at Sochi. Join allsportspk tomorrow for the next matches of the Round of 16 of the FIFA World Cup 2018.